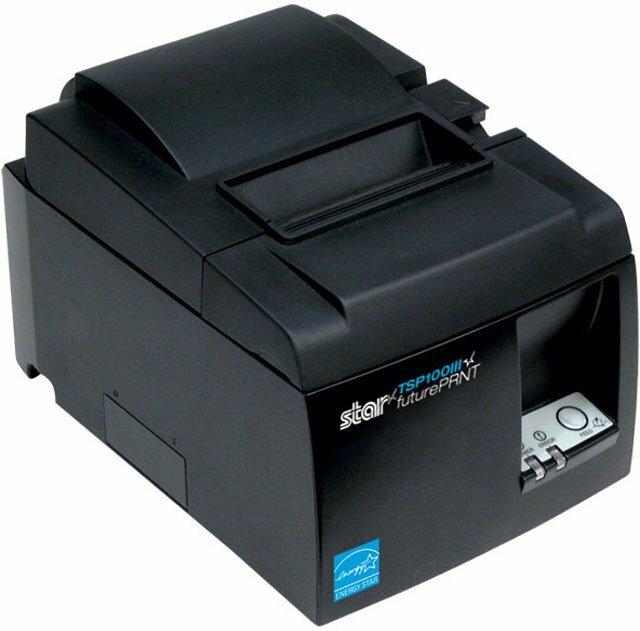 Star's new TSP100III is the faster, easier, and better POS printing solution. Already a leading player in the mPOS market, Star Micronics TSP100III is offered with WLAN, LAN, or Bluetooth connectivity, for an easy-to-use and ready-to-go installation. The TSP100III now offers simple connection with a "Push 'n' Connect" WPS set-up for WLAN, a plug-and-play Ethernet connection for the LAN version, and an easy Bluetooth paring connection, making each set-up as easy as ever before. 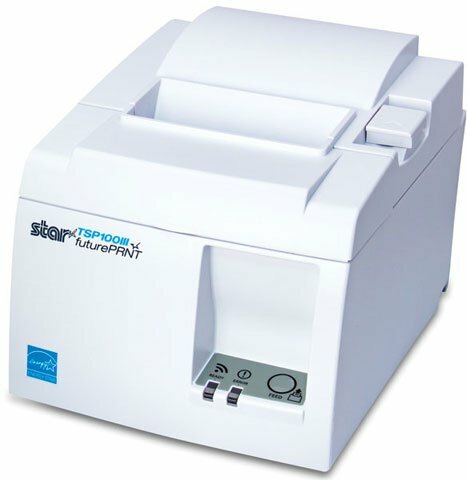 The new thermal receipt printer is an upgrade of the TSP100, printing at almost twice the speed with special de-curl function, and is fully compatible with its previous version, requiring no additional integration of development. Thermal, Auto-cutter, Ethernet (LAN), Ethernet Cable, Internal Power Supply. Color: Black. Also known as TSP143IIILAN GY US. Thermal, Auto-cutter, WLAN (Wi-Fi), WPS easy connection, Internal Power supply. Color: White. Also known as TSP143IIIW WT US. Thermal, Auto-cutter, WLAN (Wi-Fi), WPS easy connection, Internal Power supply. Color: Black. Also known as TSP143IIIW GRY US. Thermal, Auto-cutter, USB interface, USB Cable, Internal Power supply Color: White. Also known as TSP143IIIU WT US. Thermal, Auto-cutter, USB interface, USB Cable, Internal Power supply Color: Black. Also known as TSP143IIIU GRY US. Thermal, Auto-cutter, Bluetooth iOS, Android, and Windows, Internal Power supply.Color: White. Also known as TSP143IIIBI WT US. Thermal, Auto-cutter, Bluetooth iOS, Android, and Windows, Internal Power supply. Color: Black. Also known as TSP143IIIBI GY US. Thermal, Auto-cutter, Ethernet (LAN), Ethernet Cable, Internal Power Supply Color: White. Also known as TSP143IIILAN WT US.